Posted on December 17, 2013, in Fantasy and tagged Action, Bloom, Cumberbatch, Drama, Fantasy, Freeman, Lilly, Luke Evans, McKellan, Nolan, Peter Jackson, Serkis, Tolkien. Bookmark the permalink. 55 Comments. Outstanding review sir! I was doubtful about the it being a trilogy but I did enjoy the first one very much and can’t wait to see this. It’s sounding more and more like your judgement was correct and a trilogy was a good idea. Let’s face it, can you ever really get enough of middle earth when Jackson is at the helm? Thank you very much, Mark! Jackson’s Middle Earth is quite the spectacle, and if you enjoyed the first flick, you’re in for a real treat with this sequel! I was just spewing out sentences, it felt chaotic and incoherent, so I apologize if it’s not on par with my other posts ;). Yeah, pretty much lol. Enthusiasm and me being a fanboy ;). Well, I’m a bit of fanboy myself so it’s all good in my eyes. Excellent review, I’m excited to see this movie. Thanks bud! I’m sure you’ll love it :). And yet another very positive review. As I’ve said before . . . I hope I enjoy this as much as most of the rest of you have been. I remain skeptical, but we’ll see . . .
It’s a lot better than the first, if that’s why you’re worried. Although, I loved the first, I see why you’re skeptical, but it’s amazing, so don’t worry :). I don’t hate the first, but I’m also not a huge fan. It was okay, but I think much of it odd, starting with the dark tone and the overextension of a simplistic kid’s story. I’m skeptical of this mostly because I’m skeptical of the trilogy at large. Completely understand. Well, I hope this chapter turns it around for you and makes you a fan! Oh man, you’re going to love that flick! Lol, well, did you see it? It was good, no? Meh?! C’mon, it’s better than that, you’re getting caught up in the negative hype! Lol, I can live with a 7/10. It’s too CGI. It’s not the LOTR Middle Earth. Still too many under-developed characters, an unnecessary love triangle, a stupid Gandalf who would never do what he does, but does it to build up towards LOTR, and yeah.. just meh. Fair enough, my friend. Do you think that the finale could plausibly bring up the performance of the first two flicks? It’s an interesting subject. If the third film continues on with the progression and improves even more still, the first two could very much become greater, recognized as terrific set-up films. Like, the ultimate slow-burn lol. By the way, I’ll get you my voting ASAP! Terrific idea :). There’s no saving the trilogy. It has a bloated budget compared to LOTR, so Jackson instead utilized the cash to make everything computer generated. It’s turning into the Star Wars Prequel Saga for Jackson, someone I never ever wanted to compare to George Lucas. Harsh words, lol. I can see there’s no convincing you :(. I also thought it was brilliant, actually read your review yesterday I believe :). I didn’t find its length to be a probably as much as most, but I fully understand the issue. I have a feeling that number three will be LOTR good…hopefully anyway ;). 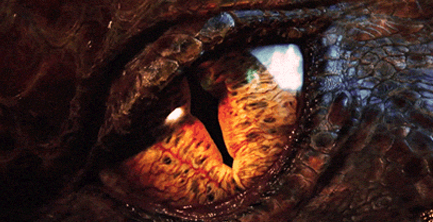 Smaug is a stunner, I can’t wait to watch this flick again. Thanks again Tim! I’m glad to see that someone else feels that The Hobbit deserves to be 3 parts, and although I may not fully agree with your views on Smaug, I do agree with the overall tone of your piece. Great work! Thanks for reading! I’m glad that someone finally agrees with my perspective lol. Did you not like Smaug? I loved Benedict Cumberbatch’s performance, and I feel he really captured the character. Plus, the CGI was much better than I had anticipated. It’s just… I’m not sure, but that last sequence in Erebor seemed to really undermine him, and I didn’t care too much for it… Haha, but an overall great film! That’s a terrific summarization of Cumberbatch’s performance and the dragon’s appearance. Thanks for contributing that comment! While I don’t agree with the undermining of his importance, I definitely see where your argument is coming from :). Well you’ve written a great article, so it was my pleasure to comment! Thanks for reading :). Did you not like this one at all, as well? I know quite a few who disliked it, but a lot more that loved it! …But hey, I’m just a book nerd. Lol. I’m also a book nerd :). 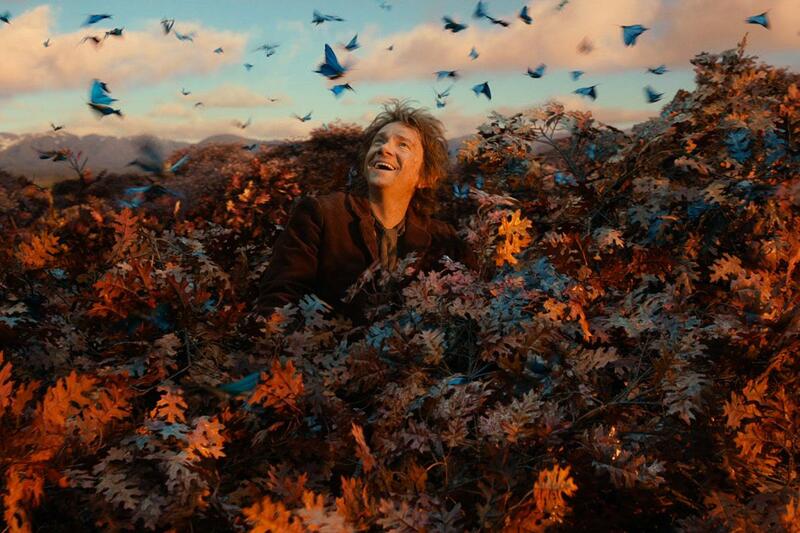 I know what you mean, this film did seem to take away from Bilbo. I think Jackson is trying to create a multi-faceted story much like the LOTR is. Lots of characters with lots of stuff going on. I guess I just don’t mind the expansion as much as some. Maybe three films is pushing it, but there’s no way doubt that one flick would have been ridiculous, in order to cover all the content. I would’ve been okay with two films, but three is just…too much. I still enjoy them, but the fact that they’re feeling more like “pre-LOTR” and less like “The Hobbit” makes me a little sad. Definitely go along with all that brother. Excellent stuff; really well laid out review. 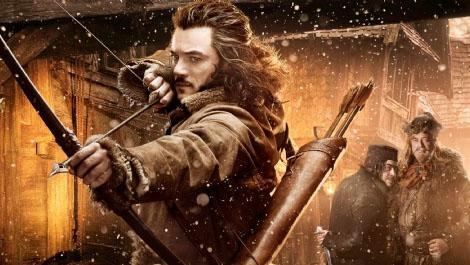 Roll on Hobbit 3! Awesome! Can’t wait another year, but I’ll try to survive ;). Good review Joseph. While it is a bit better than the first, there’s still plenty here that needs to be worked on and improved on in order for the final installment to really hit us hard. Don’t know if it’s going to happen, but I hope it does because when Peter Jackson is on his A-game, there’s nobody better than him. I agree with this review completely. Glad to see I’m not the only one totally drawn in by this trilogy. And of course I agree completely that the last 40 minutes of the film are quite delightful. Part of why I’m glad he stretched this out into three films and beefed it up as he did is that the actual story of The Hobbit is a bit light compared to the Lord of the Rings trilogy after it. 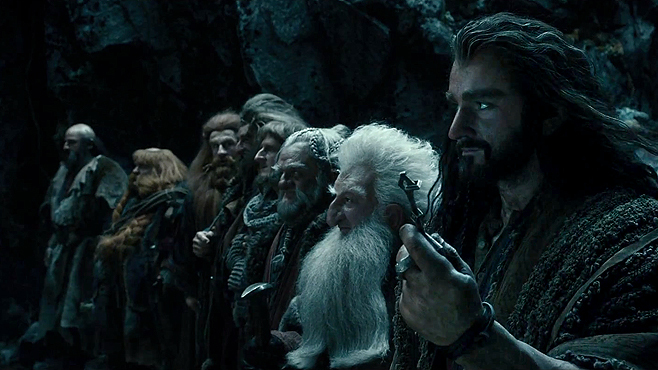 So since we didn’t see The Hobbit made first, going back to something like that just wouldn’t feel right. Great review and I’m glad to read it. I’ve read a few negatives which had me a little concerned. Glad to hear this really worked for you. I promised my son I would take him for my first viewing so I still haven’t seen it yet. But hopefully this weekend. Thanks Keith. I really had little to no problems with this one, reminded me a lot of the LOTR trilogy. Have you seen the first, if so, did you enjoy it? Really hope you have fun checking this one out :). Amazing review. I’m eagerly anticipating this, I’m glad that the characters are given more time to develop. I especially cannot wait to see Smaug. Thanks Chris! Smaug is astounding, to say the least. I’m sure you’ll enjoy this flick :). Excellent review- I disagree with the end result, but I certainly appreciate your point of view. WOW! You REALLY liked this one! I will have to see when I will be seeing it. Now or waiting, but I am thinking of waiting. Great review! I know!! It’s soooo good! You need to watch this, I’m sure you’ll love it :). Oh man. I am soooo stoked for this entry. I have been in a Tolkien mood of late. I just picked up The Hobbit extended blu ray (for a re-watch before I go see DOS) and the animated LOTR and The Hobbit films as well. I can’t wait to see this movie. I may be like you a bit as far as being “supremely biased” but I don’t care. These movies rule and are so much fun. Great review! A very good read, Joseph. Thanks! Awesome! I still need to pick up the extended Hobbit and give it a watch. 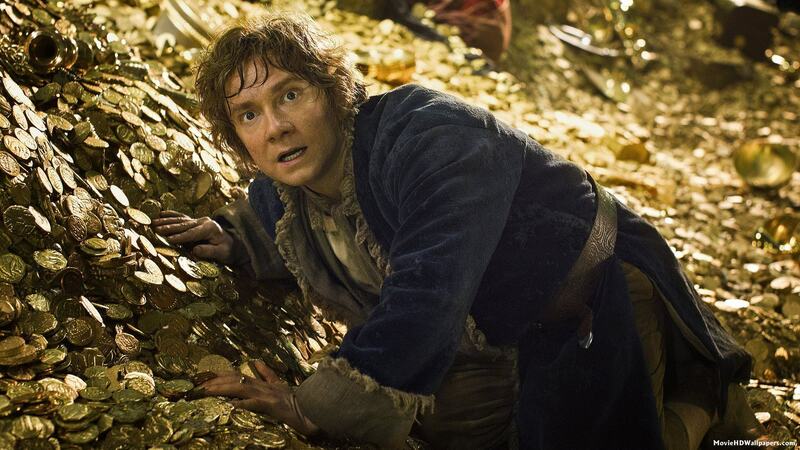 If you’re as much as a Tolkien fan as I, you’re in for a treat with The Desolation of Smaug! I’m not reading this yet because… I’ve not even seen this yet. Horrible, I know. 😉 Good rating I see, though! It’s an awesome film! Get to the theatre right now and watch it…twice :).